This programme offers students the opportunity to engage critically with the methods, materials and debates inherent in the study of the history of warfare. people with a first class or 2:1 first degree in history, international relations, political science, economics or other appropriate subject or an equivalent qualification from a British or overseas university, GPA must be above 3.25. - The Department of War Studies is unique in the UK and one of very few university departments in the world devoted exclusively to the study of war as a human phenomenon. - The unrivalled location in the heart of London beside the River Thames brings outstanding advantages. Students enjoy excellent academic, social and cultural opportunities. 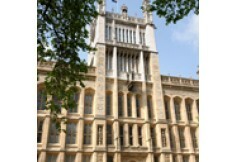 The department is close to the seat of Government, the City, the Imperial War Museum, the National Maritime Museum, the Royal Courts of Justice and the Inns of Court. 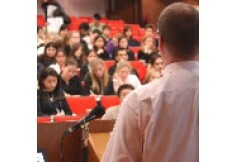 - Students have access to visiting academics, serving officers, government ministers and other experts who give regular public lectures and seminars. This programme challenges students to examine war from broad historiographical and interdisciplinary perspectives, it takes as its starting point that the history of warfare cannot be isolated from the study of general history. It encompasses more than what usually falls into the category of military history to include war from the viewpoint of combatants, societies, economies and cultures across the landscape of modern history, and in the spirit of War Studies draws on the literature and methodology of other academic disciplines where appropriate. The programme aims to equip graduates with the knowledge, understanding and skills they require to progress to advanced research in the field. To that end it has been created with a core focused on research and analytical skills, supported by a range of option courses addressing individual aspects of the history of warfare over time and across a wider geographical and thematic range. The programme prepares students interested in graduate research for future doctoral research into the history of warfare and related fields. The programme can also be taken as a free standing masters degree by those interested in warfare in the past and the intellectual, methodological and practical skills essential to its study. - A dissertation of 15,000 words (worth 60 credits). The dissertation is to be written over the summer term. You may choose your own topic but it must fall within the remit of your programme of study and must be approved by a member of staff. If you are a part-time student, you are advised to take the core module in your first year of study and write your dissertation in your second year. Continuous assessment by essay; examinations and a dissertation of 15,000 words. This core course is designed to develop the intellectual, historiographical and methodological skills necessary to study the History of Warfare at the Masters level and beyond. Taught through a series of linked lectures and workshops, it combines an examination of significant debates in the study of the history of war from the medieval period to the present day with practical workshops on the broad variety of sources, methods and issues central to the study of warfare in the past. Its portfolio assessment, comprising a book review, an individual research project and a personal statement reflecting on their work, is designed to allow students to develop and practice the skills of the research historian. Particular attention is paid to developing students' critical engagement with source material, and the nature and limitations of historical knowledge. Clausewitz is regarded as the pre-eminent philosopher of war. Because of the size and intellectual depth of his oeuvre and the seemingly unfinished nature of his magnum opus ‘Vom Kriege’, however, the nature and meaning of his ideas are contested. This course will explore the development of the man and his ideas, identify the problematic areas, and study these in detail with the help of the three major English translations of On War. To get a measure of the greatness of the man’s ideas, the course will proceed to trace the reception and influence of Clausewitz’s ideas from the time of his death to the present ‘Clausewitz renaissance’. Please note that there is some commonality of subject matter with SWM122 ‘Strategy’. As a result, students who choose this option may not take the Strategy option. This module aims to impart knowledge, build analytical skills and sharpen the critical faculties required for effective policy making in the conflict prevention and peace making fields through engagement with the literature, policy analyses, seminar presentations and interaction with scholars and practitioners. This course explores the dynamic modelling of past battles and campaigns through the medium of conflict simulation games. Students make a critical study of the existing corpus of such conflict simulations and analyse the mechanisms and design choices involved and the strengths and weaknesses of these techniques as a representation and reflection of reality. They then research and design their own simulation game on a battle or campaign of their choice. The aims of the course are to familiarise students with the various possible mechanisms of conflict simulation, and the strengths and weaknesses of each and to encourage students to analyse the key dynamics of conflict situations, thereby gaining greater insight into the physical and human determinants of conflict. This option explores the origins of the Second World War in Europe, Asia and the Pacific in the period 1931-41. This tragic decade of international upheaval, crisis and war provides historians with a rich source for the study of international politics. Was appeasement, for example, a cowardly policy selected by naïve politicians or a strategy of containment? Was Japan provoked into war by the imperial and economic policies of the western powers? Was the European war of 1939 Hitler's war or was the German dictator propelled into war by a 'domestic crisis'? What role did intelligence and armaments competition play in the coming of war? The course explores the emergence and evolution of the Middle East system of states since 1945, through a framework of analysis that is partly historical and partly thematic. It covers the role of the great powers before, during, and since the Cold War, and explores the dynamics of the Arab-Israeli conflict and the international politics of the Gulf. The course then surveys four main approaches to analysis of the foreign policies of Middle East states: assessing the role of state-society relations and political economy, and the impact of nationalism and of the balance of power on regional politics, alliance-building, and institutional cooperation. The politics of oil and of economic restructuring are then explored, followed by the politics of religious revival in the context of democratisation and of the military's role in the context of political change and economic transformation. This paves the way for an assessment of trends affecting peace, security, and stability in the Middle East since the end of the Cold War, and an overview of evolving US and European policies towards the region. The primary aim of the course is to provide a basic analytical understanding of political issues and historical processes in the Middle East. The secondary aim is to provide training in the critical reading of assigned texts and their use in writing. This course seeks to develop a broad understanding of Medieval warfare through the focused study of strategy in a number of campaigns and wars. Strategy - simply defined as the use of force in the pursuit of certain objectives - brings into view the big question of why and how societies fight. It necessitates a good understanding of a whole host of associated variables, such as the organisation of force, its use in combat (tactics) and, critically, its socio-culturally-defined context (one hesitates to use the adjective 'political' here as states are only just being formed). A fundamental contention of this course is that ends, means and thus strategies are shaped by constantly changing cultural (society) influences. The course will examine what soldiers and their leaders have sought to achieve by going to war, in addition to examining how, and with what, they have sought to achieve their aims. Trench warfare is one of the most distinct, prolonged and damaging combat experiences in the history of warfare. As such the western front in the first world war will forever be remembered as the epitome of futile military slaughter, with its killing on an industrial scale, its stalemated tactics and strategy, and its deep psychological effect on the surviving combatants. All too often however, the ‘trench experience’ is dismissed without being understood: this course explores the reality of trench life and combat; the reasons why men continued to fight in such circumstances, and the psychological and medical responses to the strain of prolonged trench warfare, so called ‘shell shock’. It takes as its source material contemporary letters, diaries and memoirs of combat, post-war literature and history, and scholarly academic assessments of the nature of combat in the first world war. The aim of this course is to examine the key issues in the development of naval history and strategy, both as case studies in history, and as historiographical and methodological exercises. It does so by building on the content of the MA core course, especially the history and strategy components. The methods of historical enquiry that are set out in those elements will be the starting point for the work of this course. The case studies have been selected with reference to the current state of knowledge in the fields covered, and do not form a continuous narrative. This course examines the establishment and conduct of international war crimes (including crimes against humanity) prosecutions. It evaluates the background to the emergence of war crimes as a concept in the 20th century, looking at martial, ethical and legal issues. It studies the creation of the first international tribunals following the Second World War and the issues which arose from these. The course examines the interaction between politics and law in the prosecution of war crimes and crimes against humanity, and the relationship of laws and rules to the social activity that is war. As new information technology alters global communication the relationship between information, security and war fighting becomes increasingly important. This course analyses war reporting by drawing upon a range of historical and contemporary case studies. It looks at the influence of political leadership, organisational factors in media structures, and the roles and norms of journalists. The course explores in depth the relationship between the military and the media and how this relationship has been affected by recent technological changes and political developments. Special attention is given to media effects like the ‘CNN-effect’, i.e. the unmediated, live diffusion of images of tension, conflict and emergencies. The case studies examined include the Vietnam War, the Gulf War, the Afghanistan War and the Iraq War and its aftermath. Drawing upon a range of historical and contemporary case studies, this course is designed to give students an understanding of the way in which scientific and technical intelligence has evolved from its origins in the Second World War, to the present day. In tracing these developments, the course will seek to explore the nature of scientific and technical intelligence, which revolves around the interaction between scientists, the scientific establishments, and the intelligence agencies. It will focus on scientific and technical intelligence both in terms of the development of intelligence technology, but also the scientific nature of the target. It will use a variety of case studies to explore and illustrate persistent issues related to the study of scientific and technical intelligence. The aims of this course are to explore the nature of strategy and the manner in which it is shaped by sociopolitical influences, encourage critical engagement with the scholarly literature on the subject of strategy, foster amongst students the capacity for analysis, judgement and communication at a level commensurate with taught postgraduate study. Please note that this is not a course about the ‘mechanics of war’ and that there is minimal operational or tactical content. Nor does it embrace the methods and assumptions of traditional military history. Those who feel uncomfortable with an explicit theoretical approach to the study of war may not find it to their liking. Please note that there is some commonality of subject matter with SWM118 ‘Clausewitz: Ideas and Legacy’. As a result, students who choose this option may not take the Clausewitz option. This course aims to examine the history and historiography of the Entente war effort in the First World War at the strategic and operational level. It aims to introduce students to recent developments and debates in the historiography of the First World War, with particular reference to the inter-relationship between national policies and coalition objectives. The course will focus on military and strategic policy in a coalition conflict, assessing both the grand strategy of the war and the development of operations. Key themes explored will be the development of the alliance as an institution, the role of individuals in politico-military decision making, the contemporary struggles over ‘western’ and ‘eastern’ strategies, and the broader issues of economics and diplomacy in a prolonged coalition war. It will focus on the strategic policies of Britain and France in the principal European theatres (Western Front, Mediterranean, Eastern Front and Balkans), and their relations with their Russian, Italian and American allies. This course explains the evolution of insurgency doctrine since 1948, tracing its major development phases and concluding with contemporary international intervention forces and their revised techniques of counter-insurgency. The aim of this course is to analyse the moral and legal arguments for and against the use of political violence and explain the relationship of urbanisation and social transition to the use of political violence; It provides a social and historical context from which to understand the application and utility of insurgency doctrine during the period of the Cold War; to analyse the reasons behind the proliferation of insurgent forms after the end of the Cold War; to conceptualise emerging trends of globally organised violence after 11th September 2000; to assess the principles which underwrite the development of counter-insurgency strategy and to practice critical analysis, independent judgement, oral and written presentation skills at a level commensurate with taught postgraduate study. Drawing upon a range of historical and contemporary case studies, this course is designed to give students an understanding of the origins and evolution of the modern British intelligence machinery. In tracing the developments of the various agencies that constitute British intelligence, the course will seek to explore the nature of British intelligence, which revolves around the workings of the Joint Intelligence Committee (JIC). In doing so it will focus on the disciplines of intelligence (signals intelligence, human intelligence, espionage etc), as well as its products. It will focus on the effects of intelligence gathering on decision making, particularly in the realm of national security and military policy. It will use a variety of case studies to explore and illustrate persistent issues related to the study of intelligence. This course considers the conceptual difficulties involved with the term ‘imperialism’ in understanding current and past global conflict. Taking an historical perspective on the evolution of western European empires, it challenges many current definitions. Though the British Empire necessarily looms large, the course takes a comparative approach to western empires since the fifteenth century, examining the changing motivation, method, and perceived purpose of expansion. In this way, it will assess in particular the relative role of military asymmetry and of coercion in global history to the present day. Drawing upon a wide range of historical and contemporary case studies, the course provides an empirically informed examination of the role and nature of intervention and the place of intervention in contemporary global politics. It explores historical and contemporary debates on the literature of intervention, and examines the motives behind, and the decision for, intervention, on the modality of such intervention, the political measures required to achieve the intervention purposes, the timing and the method of disengagement, and the outcome of intervention. The course is concerned with the structural as well as ideational aspects affecting key intervening actors, and to this end, the role of ideology and personalities, as well as the changing parameters of sovereignty, the declining value of the strategy of containment, and the issue of legitimacy in relation to international law and public opinion, will also be considered. The course will consider numerous case studies of major interventions, including the American-led UN intervention in the Korean Civil War (1950-1953), America’s involvement in the conflict in Vietnam (1965-1973), the Soviet Union’s intervention in Afghanistan (1979-1991), humanitarian interventions in the 1990s, such as in Somalia (1992-3) and Kosovo (1999), and the recent intervention in Iraq to overthrow the regime of Saddam Hussein. This course investigates an ‘age of global threat’ to Western values and beliefs which followed after the end of the Second World War. The focus of our enquiry is to discern the major trends and dynamics of the Cold War and to discuss the changes and continuity in the international security order during and after the end of the Cold War. Twenty seminars will provide an introduction to the main developments and principles of military psychiatry from 1900 to the present. Key topics include: the issue of shell shock in World War One; the discovery of 'forward psychiatry' and 'PIE' methods to treat combat stress reaction; attempts to treat 'battle exhaustion' in World War Two; group therapy at Mill Hill and Northfield; comparative approaches in France and Germany; the realities of war and the impact of combat on servicemen; the efficacy of forward and base treatments; Vietnam and the rise of PTSD; veterans pressure groups and war pensions; Gulf War syndrome; psychiatric responses of civilians to trauma and the issue of risk communication: the need to encourage vigilance without causing panic. There will also be a visit to either: Combat Stress (Ex-Services Mental Welfare Society), to the Historial de la Grande Guerre and the Somme, or to the Centre for Defence Medicine. The course is primarily based on the UK experience, though reference throughout will be made to US, Israeli, French and German examples for comparison. Students will be encouraged to explore cultural differences between armies. It is a comparative course, which uses the past to inform the present and draws on the differences between nations. This course examines, compares and contrasts the representation of war in two types of discourse other than the historical and human science idioms which are mainstream in War Studies and considers what ‘philosophy’ and ‘literature’ have in common, and how they may be fruitfully contrasted, in their treatment of military affairs. The course will explore the strengths and limitations of elucidating general questions about types of discourse through the close reading of particular ‘great’ texts. This will include assessing the pairing of Homer’s Iliad with Plato’s Republic, and two other suitably paired texts, such as a Shakespeare play with Hobbes’s ‘Leviathan’ and Tolstoi’s ‘War and Peace’ with Nietzsche’s ‘Genealogy of Morals’ as models for any philosophical-literary study of war. This course examines the roles of war in the origins of modern political regimes and their societies. The development of the modern state and the international system has been shaped powerfully by a belief in the ability to solve the problems posed by war for governments, societies, and even humanity as a whole. And yet modernity has been defined by a history of recurrent warfare between political regimes involving increasing propensities for destruction of societies and human life generally. In turn the development of modernity has generated a series of debates over the sources of the problem of war, as well as posited different political frameworks through which a solution to war has been sought. This course will trace the debate over the relationships between war, society, and humanity as it has evolved historically in philosophy as well as political and social theory. Relatedly, it will examine the relative successes and failures of different political projects for the emancipation of state, society and the species from the threat of war as they have arisen historically, from the origins of modernity to the present. A particular focus of the course will be on the development of Foucauldian approaches to these problems.